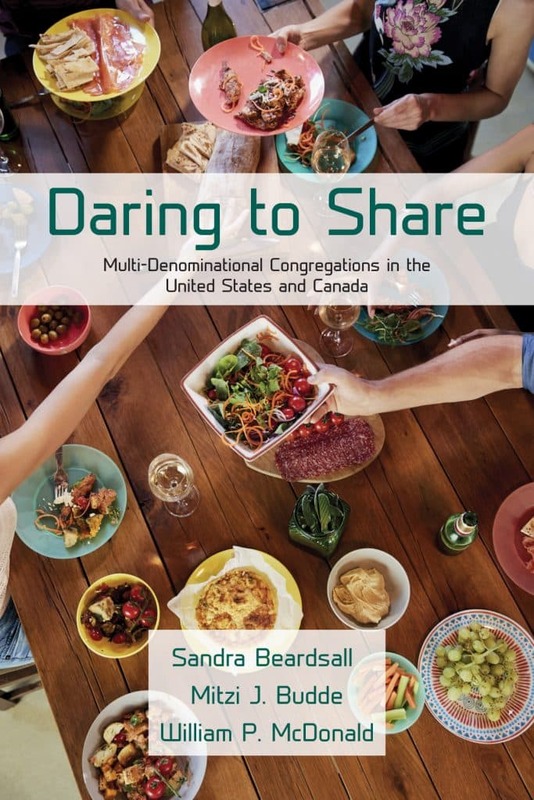 Sandra Beardsall, Mitzi Budde and William McDonald shared the story behind their new book Daring to Share: Multi-Denominational Congregations in the United States and Canada (Pickwick Publications, 2018). Each of them visited 12 different multi-denominational combinations around the continent—36 in total. Many different congregations are involved. In the United States: Episcopalian, United Church of Christ, Evangelical Lutheran Church of America, Presbyterian, Roman Catholic. And in Canada: Anglican, United Church of Canada, Evangelical Lutheran Church of Canada, Presbyterian. In their visits to 36 of these shared ministry arrangements, their research data flowed from the people interviewed—people of different denominational backgrounds. Usually they were people in favor of the partnership, but not always. A few clergy, they reported, had become resistant, but most were welcoming, frank and open about their experience. There are different motivations and ways Ecumenical Shared Ministry Parishes come into being. There are a lot of “hospice churches” out there, and merger for survival’s sake is a common theme. In denominations that have a full communion agreement, there are 85 Episcopal/Lutheran covenanted shared ministries. The biggest challenges, related Mitzi, are merging their identities, developing a shared mission, addressing governance, and finding a new shared identity out of the identities they have separately had. And yes, there are power struggles among clergy, parish staffs and councils around issues like handling building and repair issues, as well as questions around worship, such as: Are we going to alternate, or have a blended liturgy? 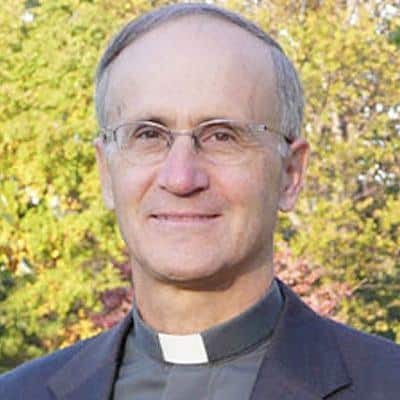 “Differences like how confirmation is handled and what’s involved in it is a significant theme in many Episcopal-Lutheran parishes,” Mitzi reported. “Who will do the confirming? Lutheran bishop? Episcopal bishop? Relating to a bishop who is not your own and with whom you don’t have a relationship is always an issue. She related that there has been an Episcopal-Roman Catholic parish, the Church of Holy Apostles, in Virginia Beach, VA, since 1977. And eight years later, on the other side of the country, a community of Roman Catholics and Lutherans was established in Beaverton, Oregon. Finances, education, worship are handled jointly, with members coming together on Sundays for a shared Liturgy of the Word, and then, after exchanging a sign of peace, they go to different altars for the Liturgy of the Eucharist. How all these congregations were formed, how they survive and thrive, how they have the tenacity to continue, and how they deal with changing judicatories is all related in the book Daring to Share. “Adolescence” in the merger process is finding financial viability; working out government documents; apportionment payment to the respective judicatories; developing programs and staffing. It can take 5 years, observed Mitzi, to walk the journey of merger and federation. Multi-denominational congregations offer rich soil for new interpretations of what it means to be a church. These parishes have chosen to covenant together for worship, service, ministry, mission and nurturing faith across two or more denominational traditions. Daring to Share tells their stories, investigates their practices, and proposes a fresh vision of church for the 21st century. This book equips ordained and lay leaders for the formation and flourishing of such ministries. It describes five models of partnership, analyzes the parish life cycle, interprets how worship works, addresses constitutional and governance issues, and reflects theologically on the intersection of diversity and unity. To order, click here.